It is never too early to make a child learn. Fortunately for children there learning is always enveloped in fun. The best way to ensure that a child learns as well as play is through children’s books. Here is a compilation brought to you exclusively by Baby Gift Ideas. From classics to modern books, we have got everything for you. When it comes to children’s book this one is a classic. 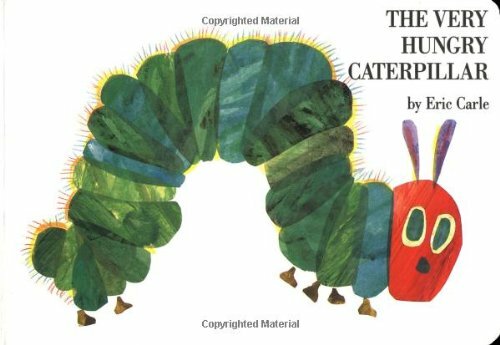 The Very Hungry Caterpillar is an interactive book that is based around a caterpillar that eats through the pages of the book. It is ideal for teaching a child days of weeks and other chronological items. This book is a timeless classic. It first came out in 1994 and since then it has sold more than 12 million copies. 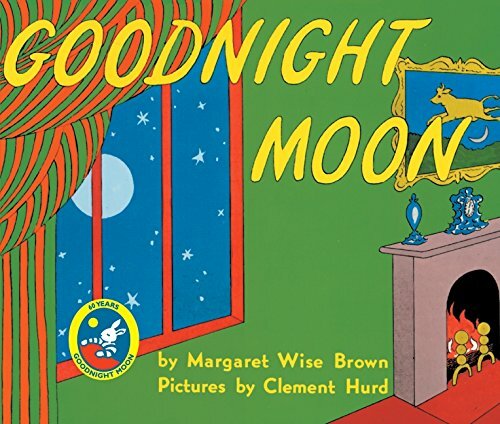 Goodnight moon is another children’s classic. It is narrated in a poetic way. And since it is a meant for young children there are plenty of illustrations to go by. The story is centered on various characters and one of which is a cute little bunny. It has a board book edition which is perfect for little babies. The content of the book makes it for an ideal bedtime story book. Who doesn’t want their kids to be intelligent and future-changing? Everyone. But very few people do something about it. But don’t be like most people. Get this amazing book of Quantum Physics. It is full of colorful illustrations and attempts at teaching toddlers quantum physics. It is quite amazing that this book takes the most complex subject in the world and make it simple enough for five year olds to study! 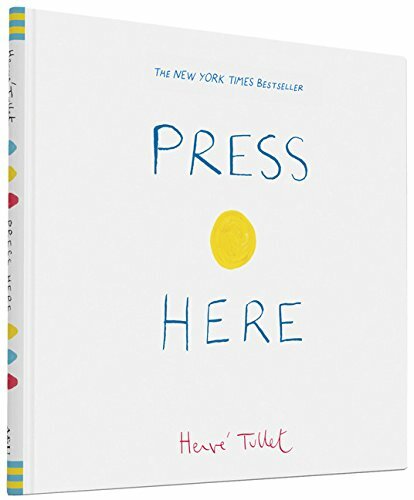 Press Here is an interactive children’s book. You start off by pressing the yellow dot on the book’s cover and follow instructions. Lo and behold! You will embark upon a great journey. You will have to press dots, shake and title the book and wait for the surprises that are plentiful. Press Here is loads and loads of fun. More than 200,000 copies have been sold of this amazing touch and feel book. It is perfectly crafted for babies. There are tigers, elephants, penguins, lions, foxes and various other animals. It teaches the kids to develop some excellent motor skills with constructing an early language foundation. The book is filled with real-life animal photographs and amazing touch and feel textures. 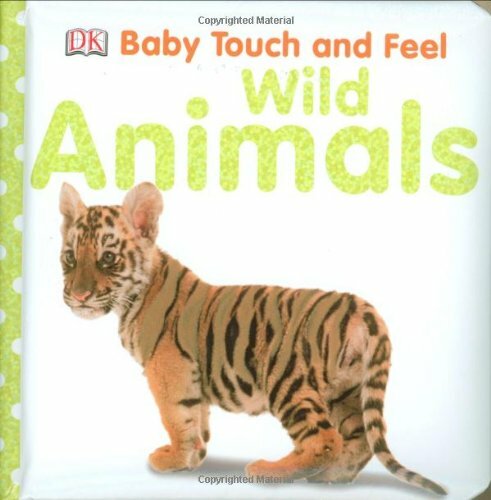 Wild Animals has been created in perfect size so babies can handle it. 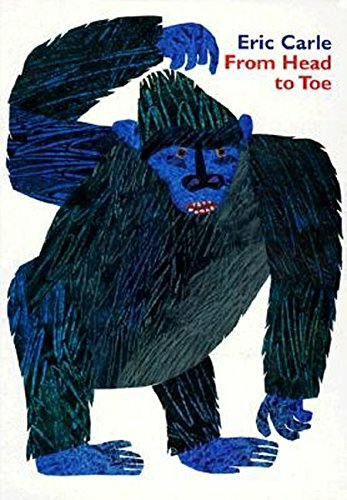 Created by the legendary author Eric Carle, From Head to Toe is a great interactive touch and feel book. This is Carle second book to be featured in our article. The opening title The Very Hungry Caterpillar has been written by the same author. From Head to Toe offers us a wide range of interactive experiences. There are animals. Giraffes can bend their necks, monkeys can wave, donkeys and horses can kick their hind legs, and there are so many animals with different characteristics that will teach the child some basic facts about various animals. Apart from exercises, the book will also teach the child to listen, pay attention, communicate and learn. This book has been marketed as Simple explanations of complex ideas for your future genius! And it couldn’t be truer. 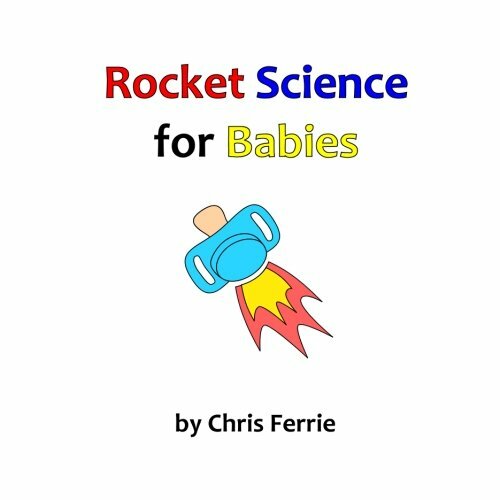 Rocket Science for Babies will take you on a colorful journey of aerospace engineering. The baby will learn how the lifts and thrusters work. 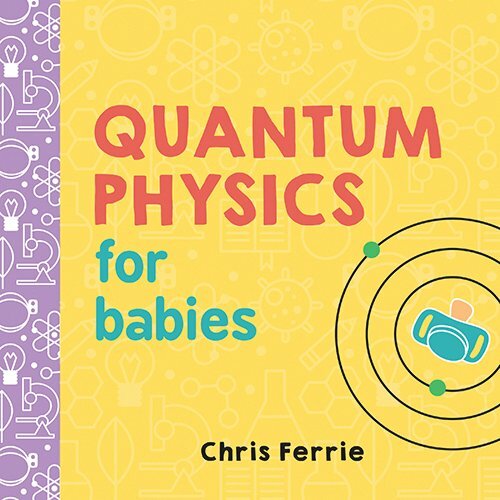 If the baby becomes a rocket scientist in the future, you’ll have this book to thank for. We discussed a book about wild animals above. 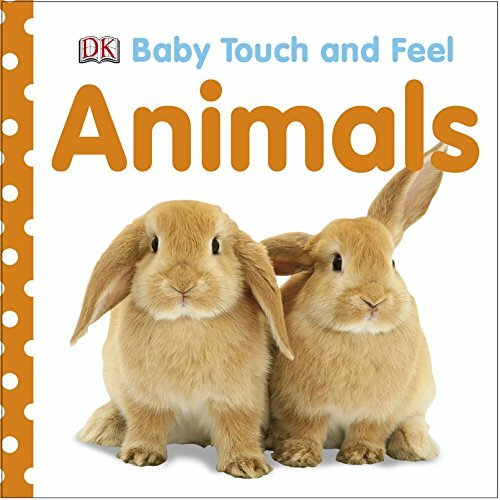 The Baby Touch and Feel: Animals is a gentler version of that book. The book is full of cute and cuddly animals such as bunnies, goats, cats and puppies. Like its other version it has been designed in a way that babies can handle it and carry it around. 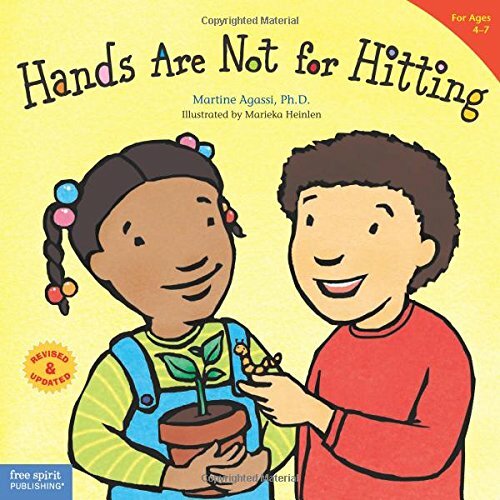 Hands Are Not for Hitting is an ingenious book that teaches kid early on that violence is not a good thing. There are other things your hands and fists can do; things that are caring, loving and positive. With help of simple words and colorful illustrations, it teaches your child about love, peace and affection. Every kid should have this book and we’ll have less violence in the society – true story! 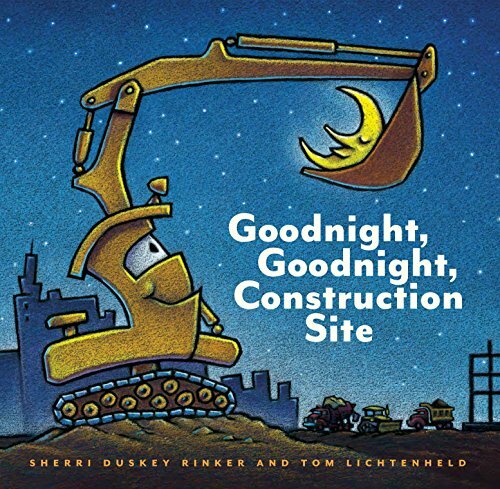 Let’s take the excitement to the next level with Goodnight, Goodnight Construction Site. This best-selling book by Tom Lichtenheld teaches the baby about various aspects of construction, hard work, labor skills and much more. As the day concludes on a construction site, the construction vehicles prepare to call it a day. One by one we learn how Crane Truck, Cement Mixer, Dump Truck, Bulldozer, and Excavator finish their work and prepare themselves for the next day. Forget kids, even adults with a knack for trucks can enjoy this book. This is not technically a book but it looks like a book so we thought; why not. 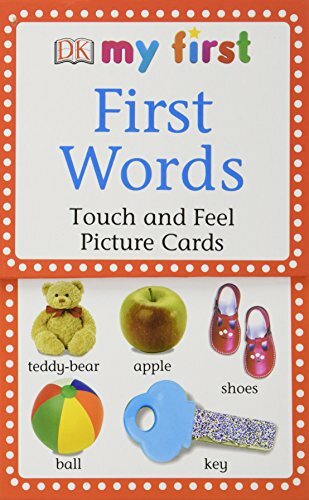 My First Touch & Feel Picture Cards is a set of 16 vibrant beautiful flashcards that will allow the baby to learn some crucial early language skills. The card set comes in a strong box that babies cannot tear apart – always an advantage, right? These cards have pictures at the front so they appeal to the kids. On the back there is relevant information and some questions that keep the conversation going between the elder and the child. This is an excellent way to teach a kid about various things. Brilliant idea, brilliant gift, don’t waste time, buy it now. Jessica is a mom to twins who works from home as a freelance writer.